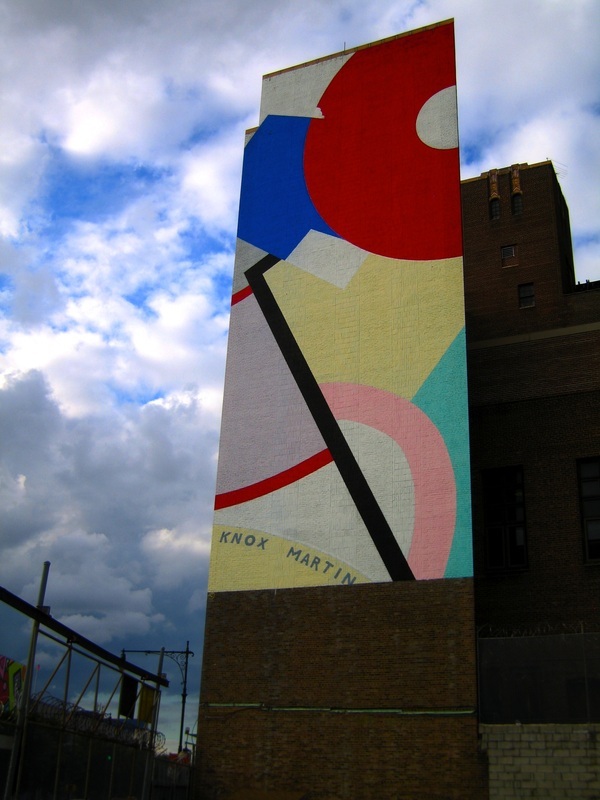 In 1970, prior to the rejuvenation of the district, Bayview's entire south wall was decorated with a red and pink abstract painting, called Venus by artist Knox Martin. The mural, conspicuous for its size and beauty, has often been used on post cards. It is also conspicuous - in a culture that regards large, exposed surface as prime advertising space - for not being a billboard. Not surprisingly, advertisers call from time to time with proposals to lease the wall for commercial messages, but Bayview doesn't want its beautiful Venus covered over with a beer or jeans ad. "Woman With Bicycle" 1979. 6 stories high. Corner of Houston & MacDougal Streets, New York, NY. 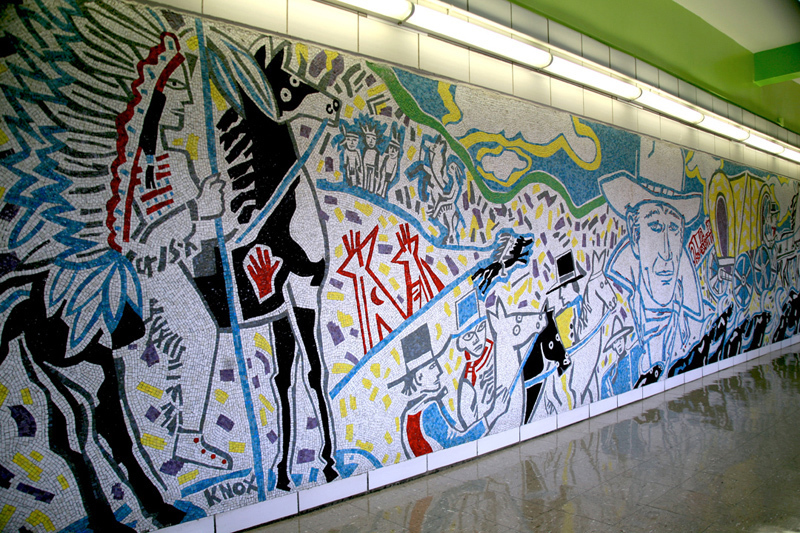 Mosaic, John Wayne and the American Frontier (32'8" x 6'8"), for John Wayne School, Brooklyn, New York, 1982. 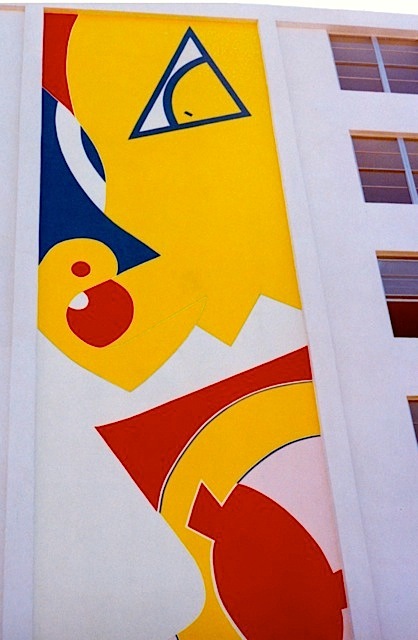 Dual five story wall paintings, The Two Faces of Venus, Ft. Lauderdale, Florida, 1971. "Sukkat Shalom (detail)" 1987. 240' long. "Venus" 1970, 1998. 12 stories tall. West side of Manhattan, New York. 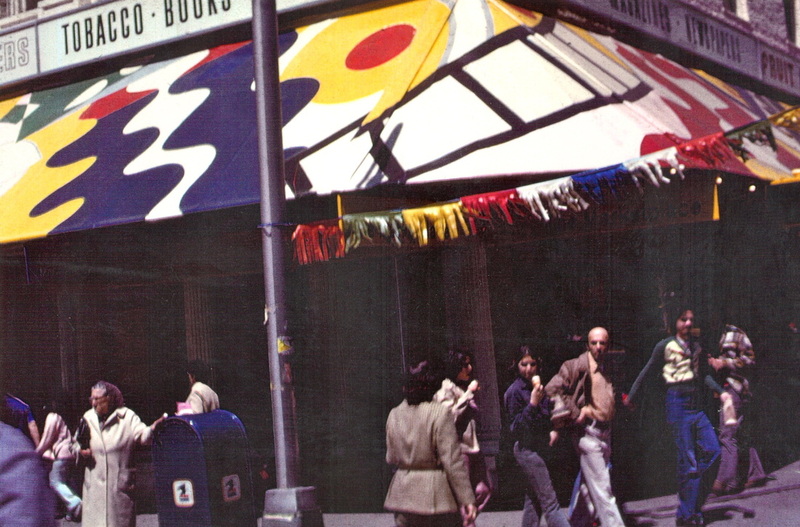 Canopy (detail), Theta Women (280'), on Chambers, Church and Reade Streets (Cary Building), New York, 1973. "Dance" 1980. Acrylic on canvas. 30' x 15' Neiman Marcus Westchester, New York. Factor 1, La Brea, California, 1976. Wall painting, Venus (restored) at West 19th Street and West Side Highway, New York. Sponsored by the Public Art Fund. 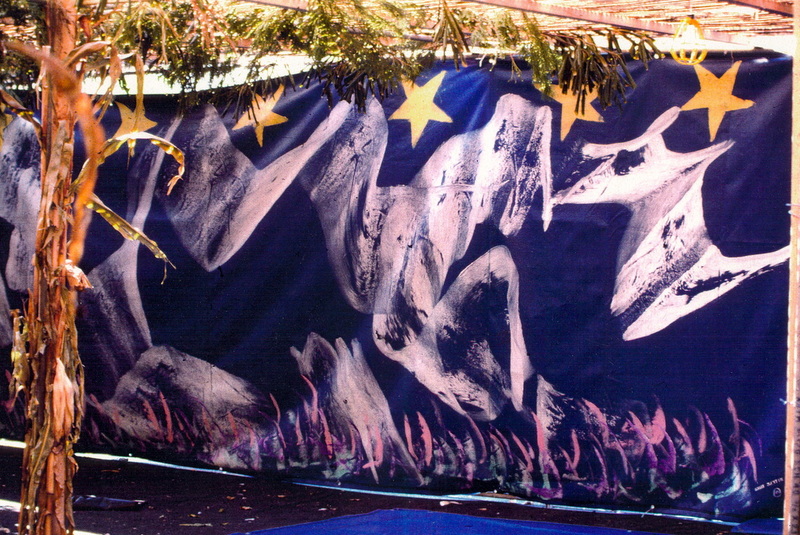 Mural, Sukkat Shalom, world’s largest sukkah (240') East 14th Street, New York. Sponsored by the Jewish Community Relations Council and Mr. Andrew Stein, President of the City Council of New York City in celebration of Israel's 40th Anniversary. Mosaic, John Wayne and the American Frontier (80" x 114") for John Wayne Elementary School, P.S. 380, Brooklyn, New York. Collection of NYC Department of Education, Public Art for Public Schools. Sponsored by the Board of Education of the City of New York. 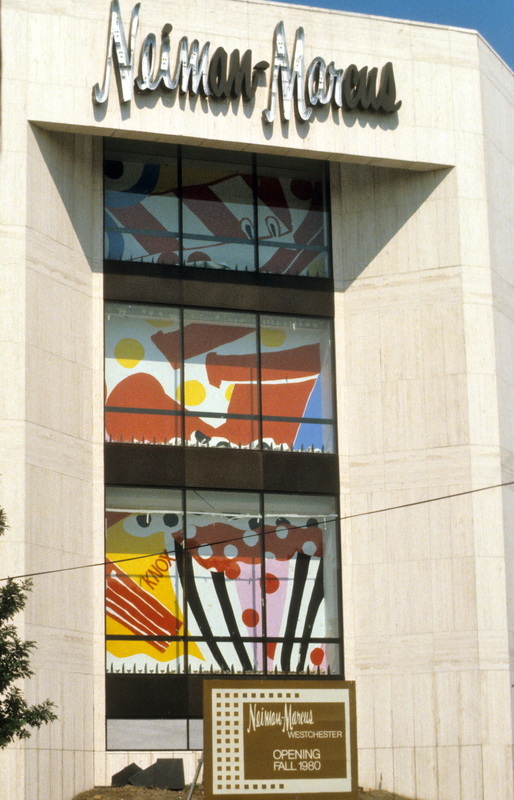 Mural Painting, Dance (3 stories), Neiman-Marcus, White Plains, New York. Sponsored by Neiman-Marcus. 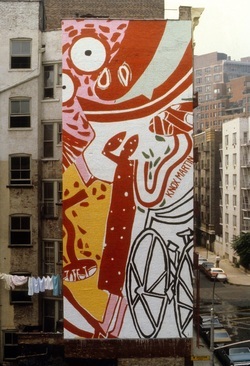 Wall Painting, Woman with Bicycle (6 stories), Soho, New York. Wall Painting, Factor 1, La Brea, California. Wall Painting in Buffalo, New York. 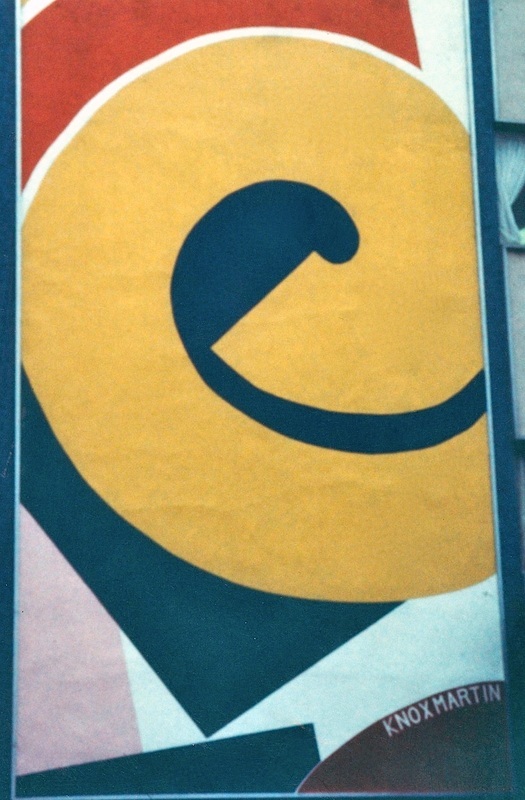 Billboard Painting on canvas, Theta Woman (44' x 10'), Wichita, Kansas. Sponsored by the Public Works Corporation of Gallery G, Wichita, Kansas, 1975. Donated by Gallery G to St. Joseph Medical Center, Wichita, Kansas in 1976. Canopy, Theta Women (280'), on Chambers, Church and Reade Streets (Cary Building), New York. 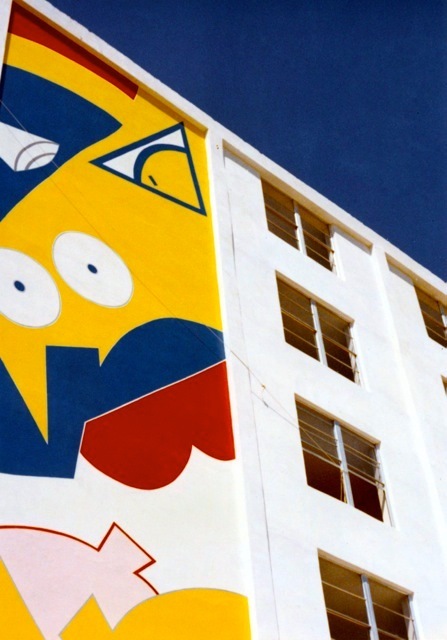 Dual five story wall paintings, The Two Faces of Venus, Ft. Lauderdale, Florida. Wall Painting, Venus (10 stories), at West 19th Street and West Side Highway, New York. Sponsored by Doris Freedman of City Walls.